I took these two pictures, as I left St. Andrew’s Stadium after the Ipswich game. Note the railway track of the Camp Hill Line, with a bridge over it. 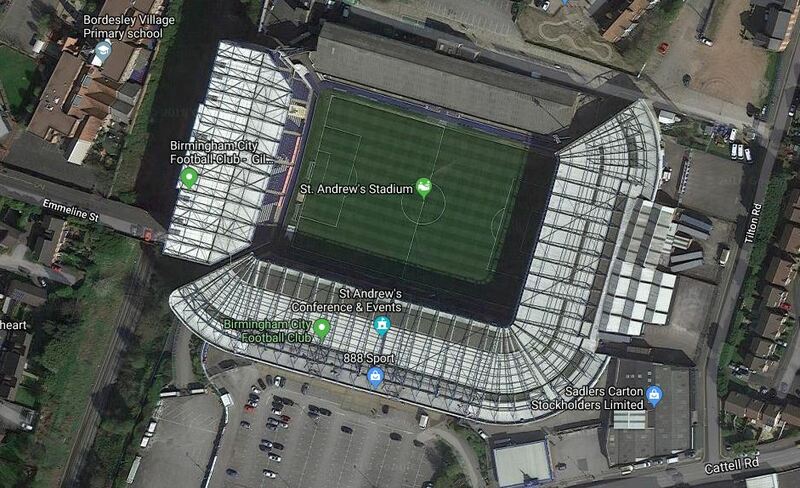 This Google Map shows the stadium. Note the railway line behind the stand on the left. As it is planned to reopen the Camp Hill Line to passenger services, if Birmingham City were higher in the Leagues, this would surely expect a station to be built here.